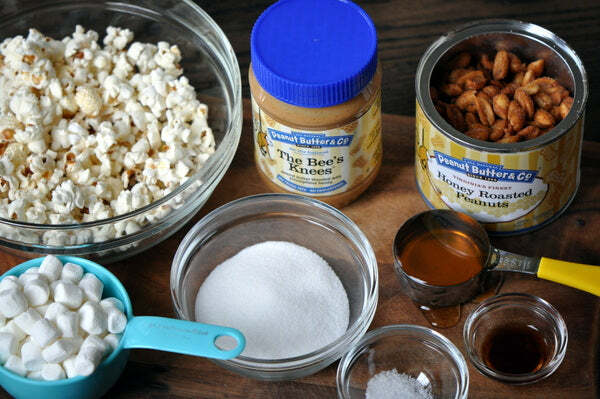 One of the sandwiches I order the most at Peanut Butter and Co.’s Sandwich Shop in NY City uses The Bee’s Knees peanut butter and so in homage to my favorite peanut butter, I came up with a sweet treat that combined all of my favorite things- peanut butter, popcorn, marshmallows, and honey roasted peanuts. 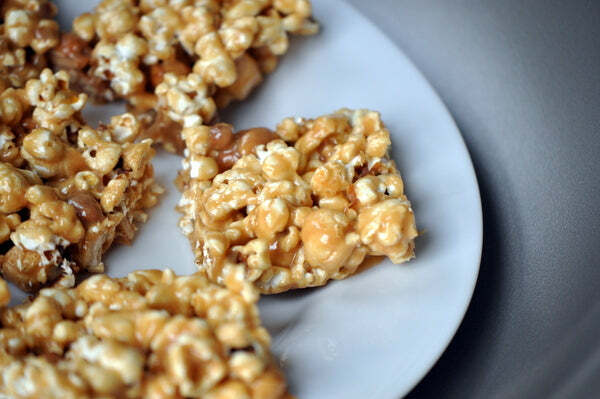 These peanut butter popcorn bars are chewy, sticky, and chock full of peanuts. 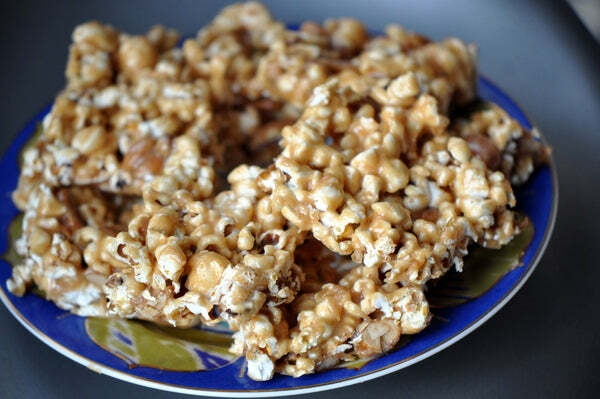 I hope you enjoy them as much as I did, but beware- they won’t last long in your kitchen. 1. Line a rectangular pan with aluminum foil or parchment paper and then grease with cooking spray. 2. 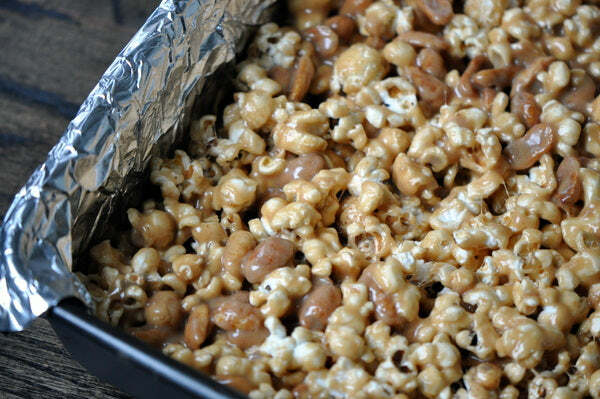 Place the popcorn and peanuts together in a large mixing bowl; set aside. 3. 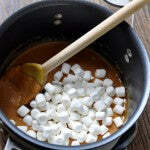 Place a large heavy pot on medium low heat and mix together the peanut butter, honey, sugar, salt, and vanilla extract. 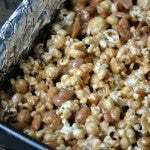 Continue to stir until the peanut butter mixture is softened. Add in the butter and stir slowly until it is completely melted. Add in the cream once the butter is combined into the peanut butter mixture. Continue stirring until it is completely combined. 4. 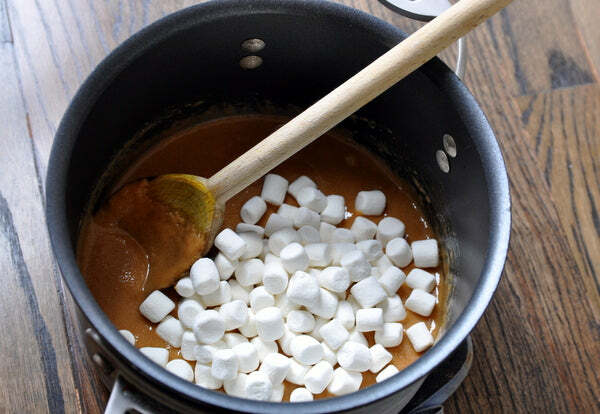 Pour the marshmallows into the pot and continue to stir until they are completely melted (keeping temperature on medium/medium low so the sugar doesn’t burn). 5. 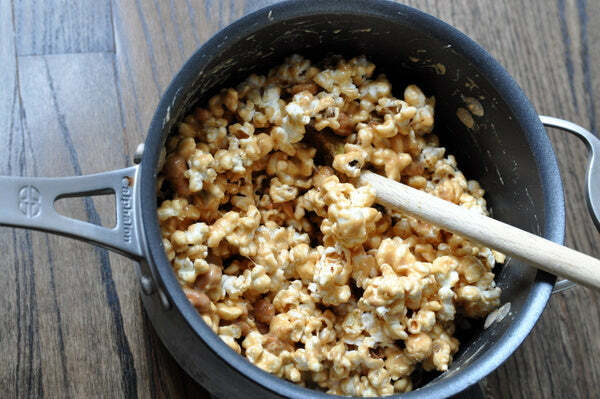 Remove the pot from heat and pour the popcorn peanut mixture into the peanut butter mixture. 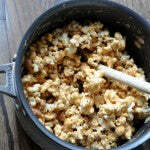 Stir until the popcorn is completely covered and sticky. Press into prepared rectangular pan and allow to set for about an hour, until cooled. 6. 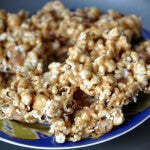 Remove from pan and cut into bars. Enjoy! 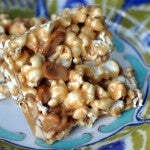 Kris melts the marshmallows with the peanut butter in this recipe to create these Peanut Butter Popcorn Bars. 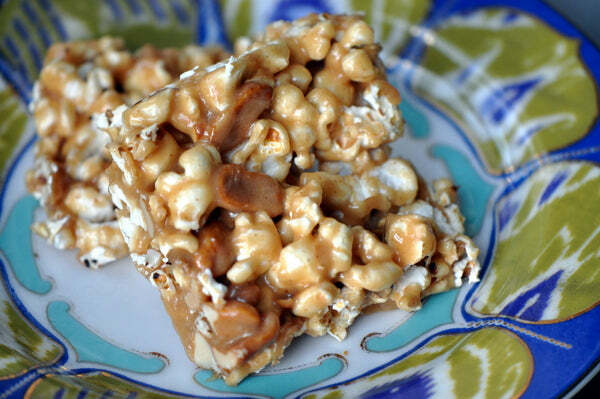 What other ways could you pair peanut butter with marshmallows? – The giveaway is open to USA residents only and will run until Monday, July 15 2013 at 11:59 PM EST. – Winner(s) will have until 07/18/13 to claim their prize or we will choose another winner. 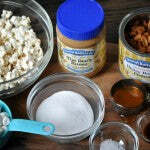 – Winner will win one 16oz jar of The Bee’s Knees peanut butter. Product will be shipped by Peanut Butter & Co. 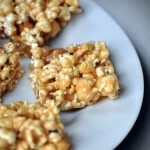 The post The Bee’s Knees Peanut Butter Popcorn Bars appeared first on - Peanut Butter & Co. Recipe Blog.